Natural Bread is a family business through & through and so, inspired by Mother’s Day this weekend, we have taken a recipe from Claire’s family archive as our special Cake of the Month for April. 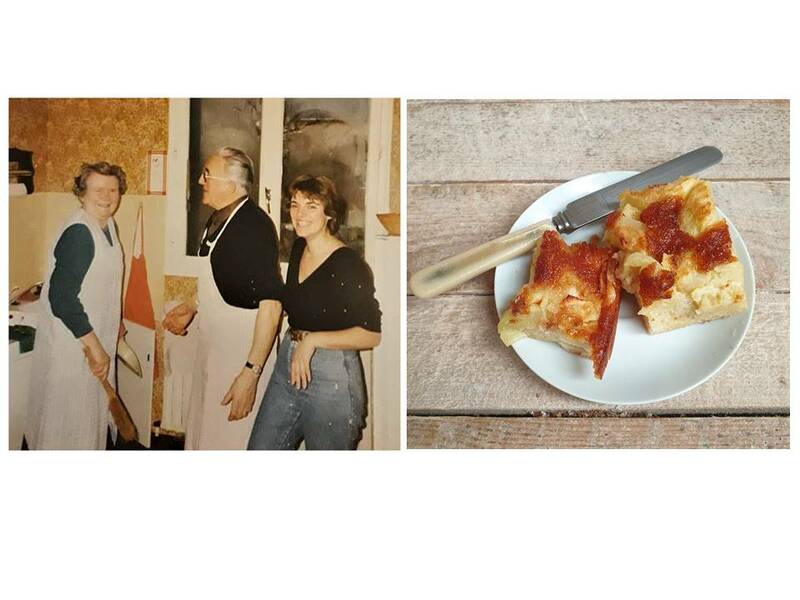 The Princess Cake is a deliciously light wheat and dairy free apple cake that was a favourite of Claire’s grandmother Ginette (pictured in the photo above in her kitchen) and we think it is a particularly lovely choice to have with your morning coffee or afternoon tea. So please do come along and have a taste for yourself – the Princess Cake is available to buy throughout April from our central Woodstock bakery shop, open 7 days a week.